Updated Wednesday March 27, 2019 by George Mullin. Welcome to all returning and new players to another fun and exciting season with Sudbury Youth Football and Cheer. Flag football is the fastest growing youth sport in America and we had an exciting 2018 season to celebrate. Each level of our travel flag football program took home a DCTVL championship title last season. The SYFC Flag Football program is unique to other programs offered in Sudbury. Our program is exclusive to residents of Sudbury and is played by grade not based on age or weight. Gameplay in our league is an 8 on 8 format which gives every player a chance to be an important part of the team. We use the American Youth Football flag rules that introduce blocking and pass rushing and is focused on developing skills for all positions. Games are fast paced with controlled limited contact. There is NO TACKLING. Our coaches are commited to offering 2 practice sessions per week with games taking place on Sunday. Our Board of Directors are thrilled to announce that we will be providing each player in our program a NEW reversable jersey that players will keep after the 2019 season ends. Our season begins on Monday August 12th and ends in early November depending on the grade and teams specific schedule that will be released in late August. 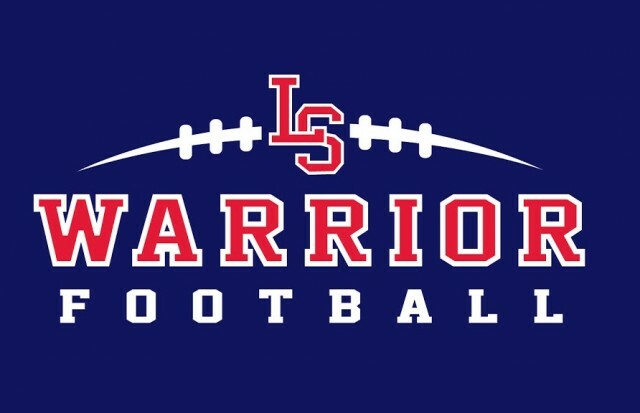 We are anticipating the first practice for our flag program to be Monday August 12th at the Lincoln-Sudbury High School Lower Turf athletics fields. Our 3rd/4th Grade and 5th grade teams will hold practice on Mondays & Wednesdays from 6-8 pm. Our 1st/2nd Grade team will have practice at 5:30 to 7:00pm. Please plan to have your child to the field 15 minutes before their slotted time. Once school starts outside practices will be held on the varsity turf football field. Coaches may include a Saturday morning game day walkthrough practice on the Lower Turf Athletic fields at LS. ALL PLAYERS SHOULD HAVE GONE TO THE BATHROOM, HAVE A LABELED WATER BOTTLE, AND BE SPRAYED WITH BUG REPELLANT PRIOR TO ARRIVING TO PRACTICE. Practices end at 8:00pm unless specified. A parent/guardian must physically pick up their child from the coach. If you need to make other arrangements, please let the coach know. We encourage parents to stay during practice (especially for the younger players), if you must step away; please let your child’s coach know when you will be back. Please e-mail your coach if your child is going to be absent from any practice or game. Our travel program is formatted 8 vs 8 played on football fields against other Dual County/Tri Valley League Teams. Home games will be held on Sundays at either the Lincoln-Sudbury Varsity Turf Football Field or the grass fields behind the varsity stadium depending on scheduling of the varsity field. Both located at 390 Lincoln Road. The league is targeting first game to take place Labor Day weekend, details will be posted soon. SYFC will provide all flag players with NEW reversable game jerseys for the 2019 season and league issued game belts. Families will be responsible to provide their players with cleats (soccer, lacrosse or football), and a mouth guard. It is the parent’s responsibility to inform the coaches if their child has any food or insect allergies or if he/she requires an inhaler. Please inform us in writing at the first practice if he/she has any allergies or requires an inhaler so that we can update our records accordingly. An e-mail will be sent out to everyone if there is heavy rain or thunder in the area or if Sudbury Parks and Rec choose to close out the fields.